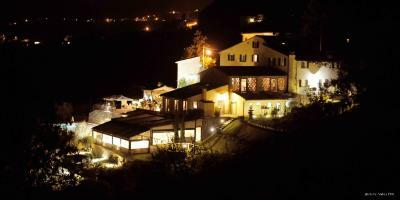 Lock in a great price for Tenuta San Pietro Luxury Hotel – rated 9 by recent guests! A gem of a hotel, with stunning views across the countryside. Dinner and breakfast were fantastic, with great choices. The staff were extremely welcoming, very warm and friendly. The room was modern, well decorated and very comfortable. Highly recommend staying in this lovely hotel! The terrace is a beautiful place to have a meal – the €70 taster menu with wine for each course is an absolute bargain. Sitting outside with the sun setting over the hills was an experience we'll never forget. Breakfast was incredibly tasty too. The chef at Tenuta was excellent!! Most of our meals were better than the local resuarants and in Lucca town. The rooms are comfortable and clean. We loved the place and views...the suite is awesome with a prive sit out! It has a lovely swimming pool. The only issue is while the food in the hotel is fantastic, there are no restaurants in walking distance. 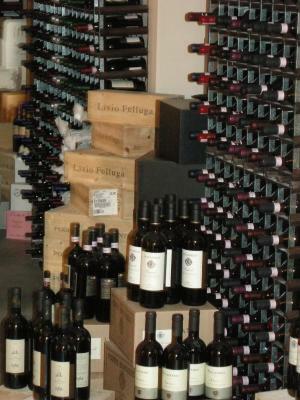 The staff-especially Anna Maria abd Valentina were exceptional...the other staff were also very good. The food is divine! Lovely view, lovely staff and beautiful property. The location of the hotel is beautiful. Its up the side of a hill in an Olive orchard. The view of the valley below and the hills in the distance looks lovely and the sunsets were spectacular. One can't say enough about the service. Everyone went above and beyond their duties to make are stay a great pleasure. The Architecture is also lovely with a mix of traditional and contemporary architecture that does well to blend into its surroundings. Saving the best for last is the food which is amazing to say the least... a must visit for anyone making Lucca or the surrounding areas their base. A place I'd happily recommend to everybody and look forward to visiting soon again. 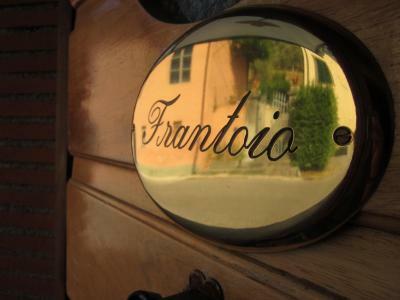 Tenuta San Pietro Luxury Hotel This rating is a reflection of how the property compares to the industry standard when it comes to price, facilities and services available. It's based on a self-evaluation by the property. Use this rating to help choose your stay! One of our top picks in Valgiano.Set on the hills outside Lucca, Tenuta San Pietro Luxury Hotel is a former Tuscan farmhouse renovated with design furnishings. All rooms are unique, and some offer views of the valley. Parking is free. 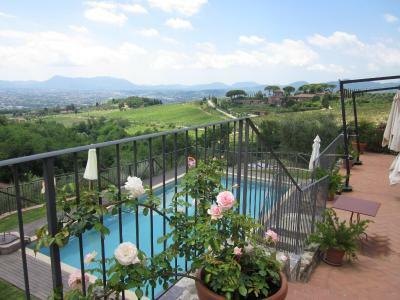 The property is surrounded by vineyards and olive groves, and features an outdoor swimming pool overlooking Lucca and the countryside. Free Wi-Fi is available in public areas. 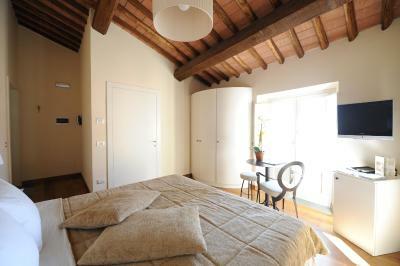 The rooms of Tenuta San Pietro are beautifully designed and spacious. They come with satellite TV and bathrobe. The suites offer independent access. The restaurant is open to the public and serves Mediterranean dishes made with local ingredients. 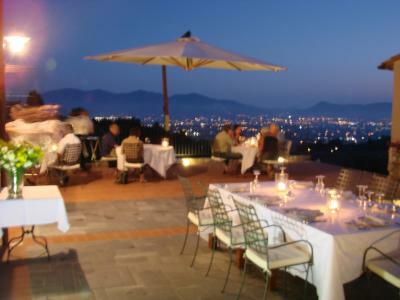 You can enjoy food and drinks out on the panoramic terrace, and poolside aperitifs. 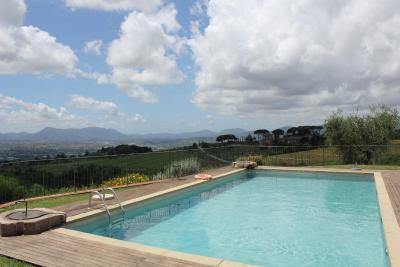 This property also has one of the top-rated locations in Valgiano! Guests are happier about it compared to other properties in the area. 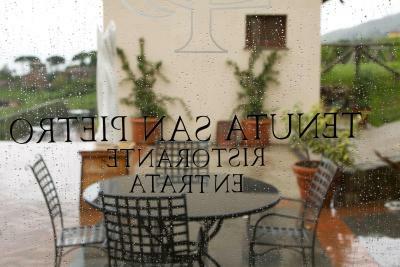 When would you like to stay at Tenuta San Pietro Luxury Hotel? 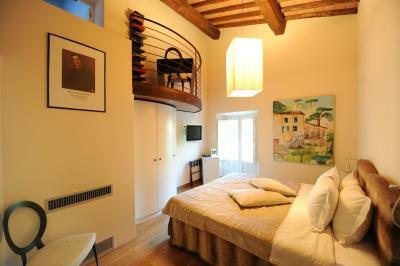 Room with attached bathroom with wooden floors and exposed beams on the ceiling, furnished with precious antiques. Large rooms with panoramic views. Boasting views of the surrounding valley, olive groves and vineyards, this elegant room features parquet floors and wood-beamed ceilings. It includes an LCD satellite TV, mini-bar and safe, plus individually controlled air conditioning. This suite has air conditioning, patio and CD player. This magnificient boutique hotel is full of hidden wanders and magnificient surprises. 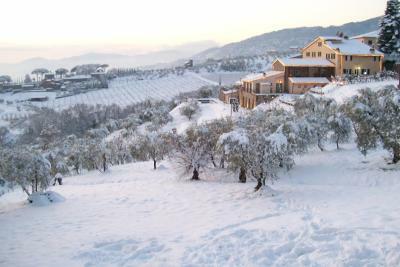 From the breath-taking views to the exceptional kitchen, unique wines and extraordinary activities. 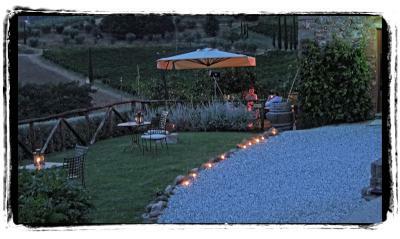 Perfect place for who wants to relax, but also a good base point to explore Tuscany and its hidden gems. Once you find us you will not want to leave! 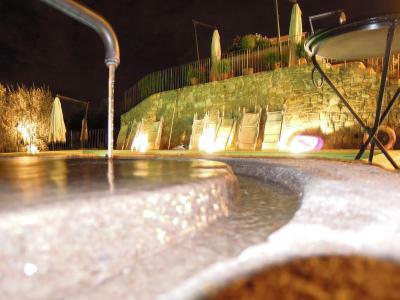 House Rules Tenuta San Pietro Luxury Hotel takes special requests – add in the next step! Tenuta San Pietro Luxury Hotel accepts these cards and reserves the right to temporarily hold an amount prior to arrival. Local drivers are crazy on these roads, be warned. Next door was a little noisy at times. The room we got was extremely cold with no heating possibility (we checked with the owner and the answer we got was that they are not allowed to turn on the heating, which seems weird for the end of October!). In addition, although we had mentioned we are traveling on our honeymoon and wanted the best possible room, we got probably the worst room with no view at all and looking right on the road behind the hotel. There was no room availability issue since the hotel was empty with only one more family staying during the same dates, so they could have given us a better room for our special occasion. The breakfast was also poor for its price and for a 4 star hotel standard. Great location with nice view and friendly staff. Normal rooms are not very spacious (cannot speak for the other rooms), it was just ok for baby cot (2 adults + 2 yr old). The Air conditioning in the rooms could have been better. It was an exceptionally hot June and the AC was not able to cool the rooms very well. On mentioning this to the manager he took corrective action and even went out of his way to provide us a fan that made our second night perfect.